Working on the blurb for Book Three. Kind of jumbled, but this is what I have so far. Rachel Griffin and her friends have already saved the school from a fiery dragon and the world from an evil sorcerer. Finally, they get to be normal student and enjoy their freshman year at Roanoke Academy for the Sorcerous Arts. 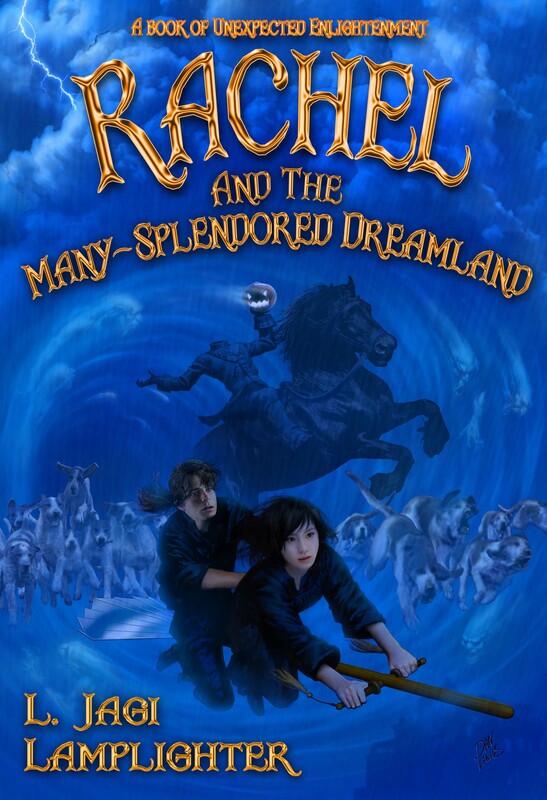 Only, while exploring dreamland, a mishap caused Rachel and her friends to accidentally loosed Morax, a flesh-eating demon, upon the unsuspecting earth. Now they must discover how to stop the fiend before he can carry out his infernal purpose. The stress of the recent violence, however, is finally catching up with the girl with the perfect memory, and her emotions are whirling out of control. To make things worse, the strict adherence to the rules of her best friend, Nastasia, Princess of Magical Australia, and Nastasia’s distrust of Rachel’s boyfriend is causing friction among the group. Meanwhile, on the floating island of Roanoke, Halloween night means the Dead Men’s Ball, where the ghosts and spooks of the Hudson Highlands gather to dance. Secrets can be learned from speaking with the dead – so long as students are safely back at school before the clock strikes twelve. For at midnight, the Hudson Valley’s most famous phantom arrives, headlessly leading the Wild Hunt. Can Rachel and Gaius Valiant make it home in time? And will the price of having freed Morax turn out to be greater than Rachel would ever have willingly pay?